Fort ‘Blunder’ was built in 1816 in the Wrong Place. The War of 1812 ended in a draw between the United States and Britain. But it could have ended badly for the United States, particularly in the second half of 1814. So after the war, President Madison vowed to strengthen the country’s military capabilities. In both the American Revolutionary War and the War of 1812, the British launched invasions down Lake Champlain in the hope of cutting America in two. 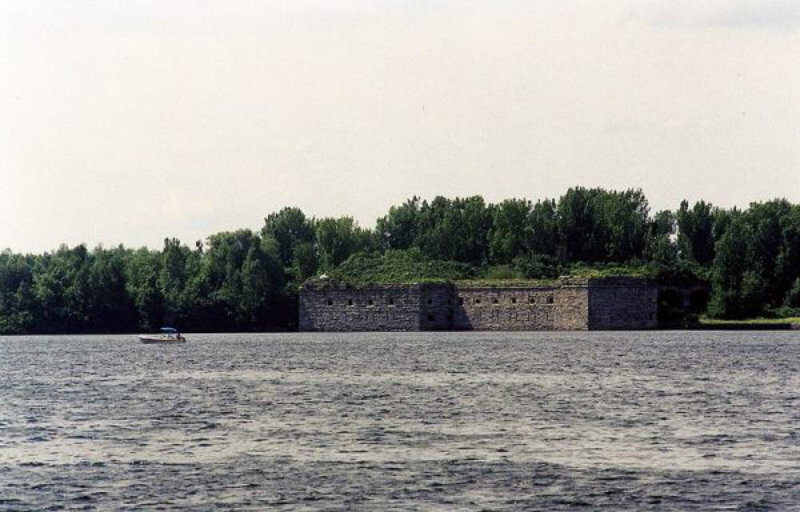 To ensure this could never happen again, the Madison Administration ordered the construction of a modern, heavy fort on the New York shore of Lake Champlain. It named the place Fort Montgomery in honour of General Richard Montgomery, a hero of the American Revolutionary War. Engineers began construction of the fort in 1816. They placed Fort Montgomery on Island Point, a small promontory jutting out into the northernmost end of Lake Champlain. The fort, when finished, would be shaped like an octagon and have 30-foot tall stone walls deploying 125 cannons. No British warship could sail past it without coming under heavy fire. There was just one little problem with the fort. Due to a surveying error, it was accidentally built half a mile north of the Canadian border. Under the 1783 Treaty of Paris, the border between New York and Quebec was the 45th parallel. But the previous understanding of the location of that line of latitude was wrong. via Fort Blunder: The Fort That America Accidentally Built in Canada – Neatorama.